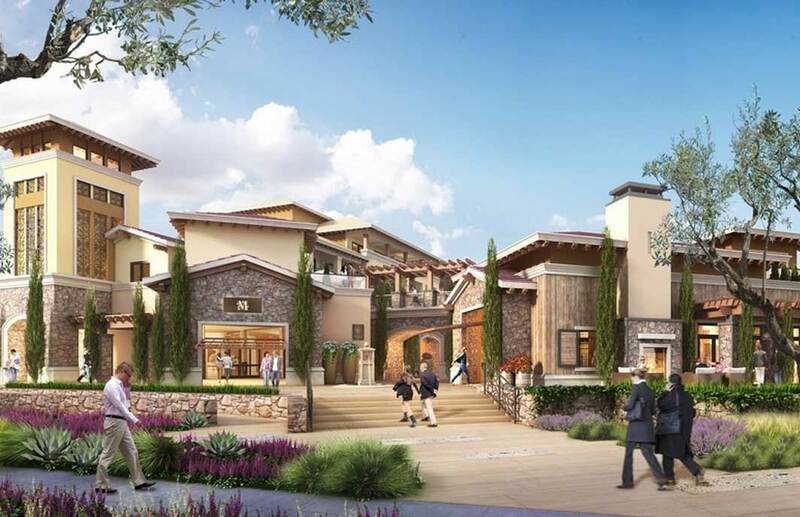 Located adjacent to Pacific Hospitality Group’s renowned Meritage Resort and Spa, Meritage Commons will be a first class 145 key resort that boasts a design that reflects the iconic locale as well as the world class wine culture that Napa Valley is known for. In addition to the resort style guestrooms and suites, the public spaces (or “Village”) will include numerous wine tasting rooms that will showcase some of Napa’s finest wineries and cater to those guests that don’t want to travel “up-valley”. The highlight of these tasking rooms will be the relocated Trinitas Tasting Room. The resort will also include an exhibition cooking style restaurant, indoor and outdoor meeting space, enhanced fitness center, yoga facility and movement studio, marketplace, as well as a resort style pool. Special events can be held on the grounds of the new resort in an upscale Event Lawn area, which includes an artificial turf lawn of almost 10,000 square feet and includes outdoor fireplaces and water features.